Premier Tickets is proud to be the online ticketing partner for event Pind Mittran Da, a desi musical & fun-filled evening. Become a part of an exciting afternoon on July 28, 2018, with multiple artists. Premier Tickets is an online event marketing and ticketing agency. 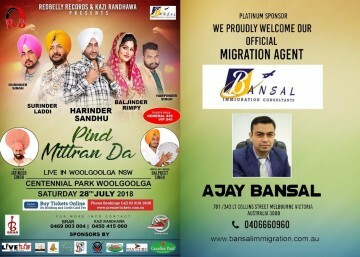 Premier Tickets will NOT be responsible for any changes related to the event schedule, artist, venue or cancellation and refunds related to the tickets for Pind Mittran Da. 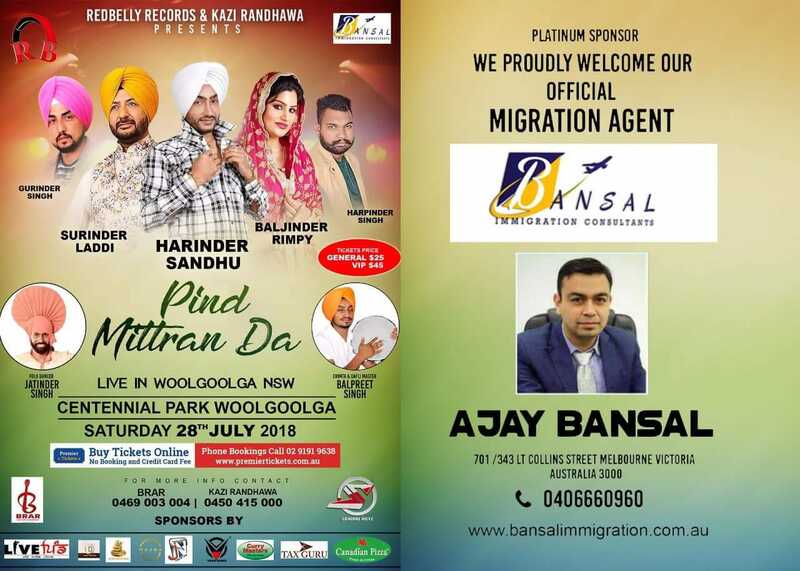 Premier Tickets Australia is proud to be the online ticketing partner for Pind Mittran Da @ Centennial Park Woolgoolga, NSW. Premier Tickets is Australia’s leading online event ticketing & marketing solution provider. We act as a channel between the event organizers and end customers helping our clients with hassle-free event ticket booking, event marketing & promotion solutions.